Lukacs Bath is many locals’ favorite choice when it comes to relaxing in thermal baths, enjoying medical spa treatments and the highlight of nightlife in Budapest on Saturday bath parties. The thermal pools of Lukacs Baths are utilizing the underground healing waters of one of the oldest hot springs in Hungary, dating back to the Roman and medieval Turkish times. 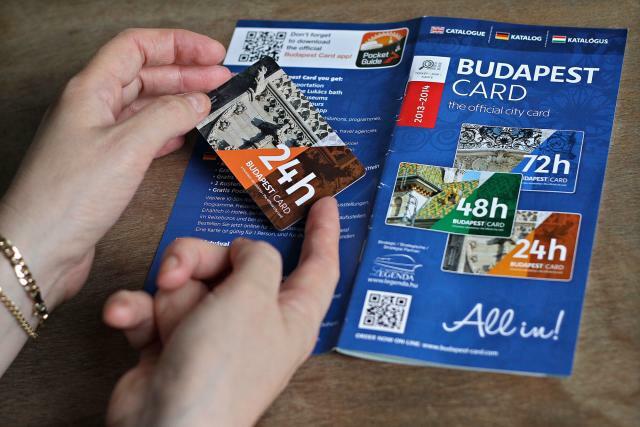 Free Entry to Lukacs Baths with Budapest Card. Day time free entry to Lukacs Bath, free public transport, 7 free museum entries, and more discounts on Budapest tours packed in the official Budapest Card. Not valid for Lukacs Bath Parties. Daytime Lukacs Bath visit only. Magic Bath tickets are sold separately. The Bath Parties in 2019 are held in Szechenyi Baths. No Parties in Lukacs Bath this year. The pools, facilities and the building of Lukacs Baths were recently renovated in October 2012. Where can we find photos that were taken at the party? I was able to attend a Sparty last March, and loved it! Are there any positions available for working such events? I am interested in bar tending, but open to any position! Hello Kelly, thank you for your interest. It seems there are many locals interested in these jobs at the spa bath party events, so unfortunately, currently there are no job openings. Hello, I would like to ask, if I buy entrance for the baths and a relaxing massage (20 min), can I get it the same day that I buy it, or should be book in advance? 4.	timing for men and women. Thank you and I look forward to hear from you ASAP. all days are mixed days for men and women in Lukacs Baths, all year. The only thermal pool in Budapest having men only and women only days (weekdays only!) are in Rudas Baths, 4 days are men only, 1 day is women only, so scheduling is not possible for a combined visit on the same day for men and women. I am sorry, and I hope this is of some help for your Budapest holidays. How can I get hold of bath party tickets for 19 December, 2015? I am arriving in Budapest just for this party!!! Hi Jacquie, we are very sorry, but not all Saturdays are scheduled. Can you perhaps re-schedule your ticket to come on Dec 30 or Dec 5? There are only these 2 pool parties scheduled for December, on the 5th and on the 30th. So sorry, no spa party in Budapest during your stay this year. How is it possible to attend on Saturday 13th Feb 2016? Hi, I am planning on visiting in March. Will have my 6month old baby with me. Will he be allowed in the baths? Hi, is the outdoor pool open on February 14th? Hey. I have a free entry to the thermal bath. I also want to get massage done. Do I have to pre book or schedule my appointment or can I just walk in directly? Let me know soon because I plan to visit tomorrow 11th of Feb 2016. Hi i am planning on coming to budapest for the pool pary for my hen party. I was wondering what is the difference from the summer parties and tbe winter parties, and if its a lot colder during winter? I was planning my hen party for january or february 2017 but not sure if the parties will be good during thta time or if it will be cold… If we should make it early and come during Summer instead? Summer and winter bath parties provide you with different kinds of thermal bath experience but both are equally worth visiting. The venue of the winter bath parties is Lukacs Bath, the oldest bath of Hungary with centuries of history. There is a corridor between the indoor and outdoor thermal baths that is you do not even have to get out of the water if you want to use the outdoor pools. If you take a look at some previous bath party pictures you will see that (even though you may wear a robe or a towel wrapped around you during the party), almost everyone is their swim suits due to the hot steam around the pools. As Lukacs Bath is a bit smaller than Szechenyi Bath, early booking (at least 1 month in advance) is highly recommended. Szechenyi Baths is the most visited bath in Hungary. With its architectural achievements and its utter beauty we can only suggest this place to visit. For your information, there are no bath parties in January, the season starts from the middle of February. Hope we could help you in deciding where to hold your hen party. Congrats on your wedding, hope you will all have a fantastic time in Budapest. Hiya, where can I find the photos from Saturday 26th March 2016? Hey! I’d also like to see the photos from Saturday March 26th party?! There is 11 of us travelling to Budapest in July and we would love to attend the Sparty on Saturday 9th July however you have stopped the group bookings. How do we go about booking this event as a group?? Hello, I will be visiting Budapest next week with my daughter, 11 years old. Is she allowed to visit your baths? She sometimes goes with me in to a sauna for a short while. Are there any restrictions? We are a couple visiting Budapest 9-12 October.We booked the Budapest Card. What services are included in the price? Can my 11th year old boy join us?? yes, he can join, but please note, that children under 14 can use the thermal bath, but only at parental responsibility, as it is not recommended for younger children. Have a lovely time in the spa! I had my phone stolen from my locker on Saturday night, I came back to my locker which was locked and my phone was missing…I wasn’t drinking as I was hungover from the previous evening so intoxication was not an issue here…somebody opened that locker and stole my iPhone 6…the manager told me they would check the cctv footage the next day if I phoned up….I did, 5 times and each time the workers put the phone down on me. Clearly somebody else had access to my locker and I would avoid this place at all costs. we are terribly sorry to hear about the incident you have described, but, unfortunately we cannot address your complaint as the official service provider can be reached at lukacs@spabudapest.hu. Regarding the matter of the issue we would like to kindly ask you to correspond with the officials of Lukacs Spa in the future via lukacs@spabudapest.hu. Our site, lukacsbaths.com is a privately owned site specialising in online ticket and treatment reservations (exclusively). We do not represent the state owned spa facility. hallo. How can we book treament ? unfortunately there is no option for online booking, you can make a reservation only on the spot, at the cashiers. Actually ,i m kinda confused between Lucas Bath and szechenyi Bath.is this two r one or diff? 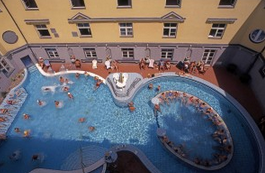 These are two different Thermal Baths: Szechenyi Baths and Lukacs Baths. Hi, I will be here with my friend from 13-17th January. Have we been mislead that there is a bath party on the 13th? Is there any kind of party at any location in Budapest over this time? unfortunately there is no Sparty on Jan 13, 2017. Hi, when will i be able to purchase magic bath tickets for lukacs pool in december the 9th? December dates have not been confirmed yet, please check back at the end of summer for updates. Thank you for your patience. you can rent towel on the spot, at the rental facility. Swimming cap is mandatory only for the swimming pools, and you can also rent a swim cap in the Baths. Have a lovely time in Lukacs Baths! May I bring a picnic basket and water bottle? yes, you can bring your own food, but please note that you cannot take food and drink into the pool, and the pool area. Also the water bottle cannot made from glass, only plastic. Thank you for your understanding. Hello, what is the opening hours like on the All Saints Day on the 1st Nov? the baths will be open as usual from 6am to 10pm. Enjoy your holiday in Budapest! Can you tell me if you have any spaces tomorrow or Sunday for 2 people for a 40min massage each? at the moment, there are places left. Please book your massages upon arrival. Hope we can welcome you at Lukacs Baths! Will be any party in january? unfortunately, there is a winter break, the Sparties are back from the 10th of February.